Just back from four years in the military in 1968, Doc found out that getting parts for his motorcycle wasn't easy. In fact if you wanted a custom part for your motorcycle, you had to make it yourself. Most franchise dealers wouldn't even service a bike if it were customized. Big distributing companies like Custom Chrome and Nempco (now Bikers Choice) didn't even exist yet. The need for bike parts and other services related to maintenance and customizing of motorcycles was growing and Doc's love for motorcycles developed into a business called Waterbury Cycle Specialists which was located on Cherry Street in Waterbury, Connecticut. In the beginning, the business consisted of manufacturing parts, wheelwork, machining, chrome plating, and painting. British bikes were popular, consisting of 50% of the business demand. Of course, Doc's has always been involved with parts and service for Harley-Davidsons®, but it wasn't until the mid-70', that Harley-Davidsons® increased significantly in popularity. It was at that time that Harley-Davidsons® regained ownership from AMF, producing better quality bikes. Another factor that helped change the form of business, is that many independent distributors came into existence during the early to mid-70's, which diminished the need for parts to be manufactured on the premises. The result was parts being stocked instead of being made to order. In 1973 Waterbury Cycle Specialists became Doc's Cycle Specialties and by 1976 the business had outgrown the Cherry Street store, hence the move to a larger store space on Meadow Street. Once on Meadow Street, the product line expanded. Not only were more parts being stocked, but also leathers and accessories were introduced. Doc's was quickly becoming a retail oriented business. 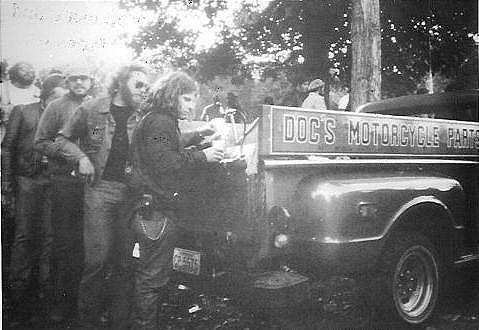 It was at this time that Doc's, now known as Doc's Motorcycle Parts Inc. gained a reputation for having the most parts in stock in the area, and eventually became one of the largest motorcycle parts stores in New England. In 1998 Doc’s further expanded to it’s present location at 1625 Thomaston Ave. Waterbury, Ct. Adapting further to the Motorcycle Industry, Doc’s opened up it’s new Service Department as well as getting back to one of the reasons Doc’s was founded, Customized Bikes. Today, Doc's can Custom Build your Dream Bike any way you like, starting from the frame up. 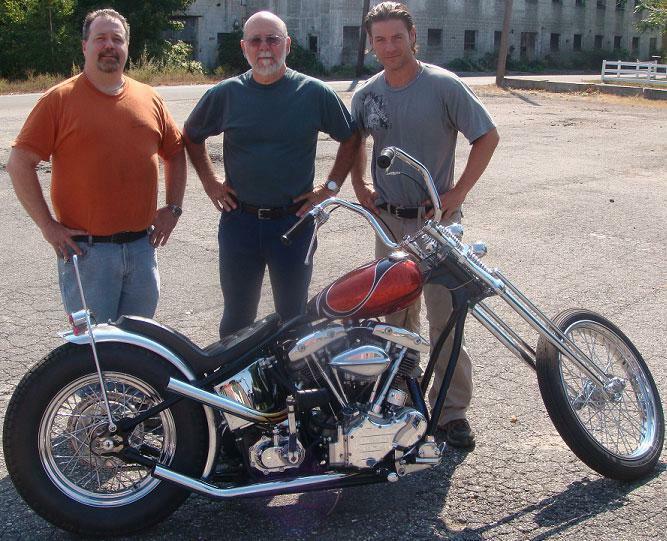 Doc’s started building Old School Choppers when they were considered new school. Doc's continued to grow with the demands of the industry and the consumer, resulting in a bigger store. Doc's has once again expanded to include the Easyriders extensive product line. 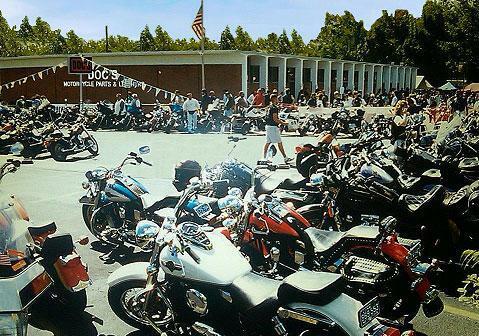 Doc's Easyriders has been an active member of the community helping numerous charitable organizations. Whether it was raising monies for needy children, vets, the homeless, food drives, toy runs, etc., Doc and his customers and friends were always ready to help. Doc and his wife Wendy, have worked hard over the years to make Doc's what it is today. The future looks bright for Doc's with the addition of Doc's middle son Mike, together with Lee Farley, long-term store manager, as well as a dedicated staff, the tradition of quality, value and dependable service will continue at Doc's. Wed: 10:00 a.m. - 6:00 p.m.
Thu: 10:00 a.m. - 6:00 p.m.
Sun: 10:00 a.m. - 2:00 p.m.